Former WWE/TNA Diva "Funtime" Shelly Martinez hosts a weekly discussion in the VOC Nation Radio Network about wrestling, pop culture, and positive energy. Each week, Shelly will take your calls and tweets on topics ranging from her wrestling career to what's hot in popular culture. After Shelly, it's time for the only talk radio show that will give you CRABS. 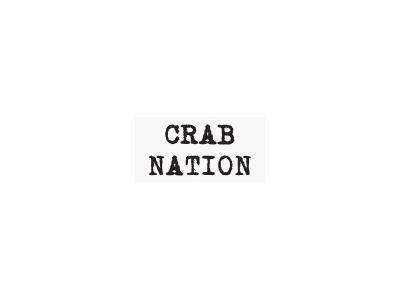 Crabnation goes beyond the headlines starting at 5PM ET to poke fun at politics, hollywood, and more. The Crabdiving Duo of Patrick Viall and Ryan Pfeiffer give their liberal comedic twist on the nations top headlines. Call LIVE every Monday starting at 3:30ET toll free at 855-VOC-RADIO (855-862-7234). The VOC Nation Radio Network was born out of AM Radio in Philadelphia, and has grown into one of the largest and most successful modern media networks in the world. The VOC Nation Radio Network's roots began in pro wrestling with the VOC Wrestling Nation drawing tens of thousands of weekly listeners at WNJC Philadelphia. In 2012, Bruce Wirt left WNJC and took VOC Nation into "the cloud", providing live, daily programming in multiple genres. VOC Nation in ranked in the top 1% of online listenership, and has had A list guests from all walks of entertainment. Hulk Hogan, Sting, Roberta Flack, Lou Ferrigno, are just a few of the many talented guests that have appeared on VOC Nation programming.